Israel’s Jewish Settlements and Netanyahu’s “One State Solution”: Self-Entrapment of Existential Proportions. The Eventual Annexation of All Palestinian Lands? 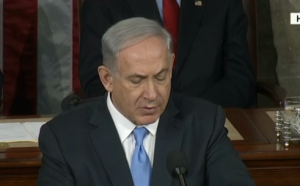 Netanyahu is not deterred by the criticism and condemnation from the international community. He takes the position that building new housing units is largely in settlements that will eventually be part of a final status deal in exchange for land swaps, as if he has the right to unilaterally decide which settlements will be incorporated to Israel proper without an agreement with the Palestinians. As he sees it, Israel has been building settlements for nearly five decades, and in spite of that it has not suffered any adverse consequences for its defiance of the international consensus against the settlements. Why should he worry about it now, when the international community is preoccupied with so many other conflicts in the Middle East and is unlikely to take any punitive measure against Israel other than expressing the usual indignation? Netanyahu is even less concerned about the Palestinians’ claim that Israel’s creeping annexation of their territory creates irreversible facts on the ground that would deny them a state of their own under a two-state solution. Netanyahu counters this argument by repeating his slogan that Israel is prepared to enter negotiations unconditionally, and that the settlements do not represent any obstacle to peace. In the same breath, however, he publicly and repeatedly states that the Jews have an inalienable historic right to the entire “land of Israel,” especially the West Bank. As such, Israel is not an occupying power and has the inherent right to establish settlements on any part of its historic land. Netanyahu is also not bothered by the reaction of the Arab states, particularly Saudi Arabia and other Gulf states, as on the surface settlement activity puts them on the defensive precisely when they are reaching out to Israel. This is not the case, Netanyahu insists. The Arab states are more concerned about Islamic radicalization and in particular the prospective Iranian nuclear threat. In fact, he claims the Arab states are seeking cooperation with Israel in spite of ongoing settlement expansion. They share a common cause with Israel and are focused on their own problems, viewing the Palestinians as nothing but an added burden. Netanyahu’s message to the Israelis, especially the settlers, is that the construction of illegal outposts will retroactively be legalized, thereby signaling that they can continue this practice with impunity. It takes Netanyahu’s typical chutzpah to call for demolishing Palestinian villages like Susiya and other housing units built on their own land while retroactively legalizingillegal Jewish settlements on Palestinian land that were expropriated by Israel, which is nothing less than a travesty. What message does that send to the international community, and how does that square with Israel’s presumed moral standing among the community of nations? This does not seem to bother him in the least. Netanyahu dismisses the prospect that his policy would inadvertently lead to one state, as Israel will then face two choices: one, maintain its democratic form of government by granting the Palestinians full citizenship, but in the process lose its Jewish majority and its national identity as a Jewish state; or two, deny the Palestinians citizenship, whereby Israel becomes a de-facto apartheid state, reviled and potentially sanctioned by the international community. This, however, is not how Netanyahu and company see it. From their perspective, settling a million Jews in Israel will indeed create irreversible facts on the ground, but this is precisely what they want to realize as that would not translate to giving Palestinians Israeli citizenship and equal political rights. What Netanyahu has in mind is for the Palestinians to establish their own cantons in Ramallah, Bethlehem, Jenin, Jericho, and other cities, governing themselves as they see fit as long as they accept their lot quietly while Israel maintains overall security throughout the West Bank. In so doing, Israel will indefinitely remain in control of the West Bank, managing the conflict on a day-to-day basis and dealing with Palestinian violence as it occurs. For him, a state of constant tension is preferred over relinquishing the land. Netanyahu, however, is totally blinded by his messianic mission, ruling out the possibility that the Palestinians will sooner than later rise, as they are willing to die because they have little left to lose. Netanyahu is a willing hostage to coalition partners he assembled that include staunch proponents of the settlements, such as Education Minister Naftali Bennett and Defense Minister Avigdor Lieberman. Leave it to him to use his coalition government to provide him with the perfect excuse to continue with his policy; tragically, he is inviting disaster by putting the land above Israel’s national security, if not its very existence. Repeated polls strongly suggest that a vast majority of Israelis and Palestinians want to end their conflict based on a two state solution. As long as the opposition political parties cannot unite with a specific and coherent political framework based on the Arab Peace Initiative to resolve the Israeli-Palestinian conflict, Likud may well form the next government in 2019. Likewise, as long as the Palestinians remain divided, with many of their leaders steeped in corruption, they play directly into Netanyahu’s hand. They, more than anyone else, will destroy their own prospect of realizing a statehood. To be sure, unless Israel’s opposition parties coalesce and create a popular movement for peace, and the Palestinians organize their political affairs and negotiate with Israel in unison, it may well be too late to save them both from their own self-inflicted deadly wounds.